I’m happy to say that my latest poetry collection, Sunday Haiku, has already received two 4-star reviews at Goodreads, one from Kim and one from Lisa, who says amongst other comments that she “felt captured within the calm of the poetry” which is precisely the feeling I was trying to attain. Thank you very much, both. And you can now also find Sunday Haiku on sale in PDF version at Rainbow Ebooks, so I hope that covers all buying possibilities. Enjoy! In addition, I’m getting towards writing the final few scenes of The Prayer Seeker’s Journal, where you can now find the latest episode. There’s a time lag between writing them and actually uploading them, but I hope to finish the first draft by the autumn or thereabouts, though I suspect the last few chapters will be fairly long. 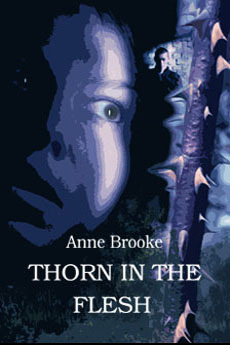 Other books news includes the following: Creative Accountancy for Beginners found itself in the Smashwords Top 10 Humour Bestsellers list, which has been a lovely boost; Painting from Life gained a 4-star review at Goodreads; and The Bones of Summer also had a 4-star Goodreads review – many thanks, Nene, for reading! Meanwhile The Delaneys and Me, continues its rise and fall through the Amazon Kindle Gay Fiction charts, rising as high as No 32 this week. The very big news this week which is both exciting and terrifying is that we and our deceased neighbour’s nephews have agreed on a price for his old flat (below ours) – it’s at the upper limit of our budget but we think that with a bit of scraping around and with the wind in the right direction we can do it, hurrah! So we’re now plunged into the process of conveyancing and soliciting (as it were) and mortgaging, and we hope to have contracts exchanged – all things being equal – by the end of August. I hope it all goes to plan, as it would be great to have more space, not to mention a part of the house garden and a garage. And two floors, well gosh. Whatever next? We won’t be able to eat or go on holiday for the next five years, but what the heck, eh. Who needs food or aeroplanes? We do so love the house, which has got an NVQ Level 5 in Character, though those old Victorian pipes can be a tad dodgy (don’t ask, but never ever put anything at all if you can possibly help it down the loo in a Victorian house – a piece of Life Advice you can have for free …! ), so it would be lovely to have more of it. So watch this space, and wish us luck. Marian and I had a good round of golf on Friday, though we can tell that the schools are ready to break up, as it took a lot longer to go round. I started off with two pretty damn glorious pars (hurrah!) but rapidly faded, so only just managed to scrape victory from the certain jaws of defeat. Yesterday, I was briefly (on a Saturday, how dreadful!) back at work to help out in the afternoon at the University’s open day – which I must say was the busiest I’ve ever known, so I did a heck of a lot of smiling, and was utterly shattered when I got home. So much so that I nearly fell asleep in front of our recorded episode of Midsomer Murders and had to go to bed at 9.30pm, which is really unheard of. Ooh, and tonight I and Lord H are hugely looking forward to the new updated version of Sherlock Holmes, which I’m sure will be well worth catching – 9pm on BBC. Don’t miss it! Must dash and get my violin and deerstalker hat ready, if only for old times’ sake. 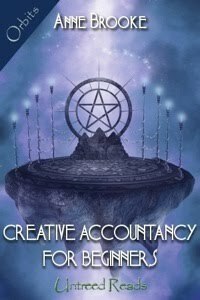 I’m delighted to say that my comic fantasy short story, Creative Accountancy for Beginners, is now published at Untreed Reads, and you can also read an extract to whet your appetite. Enjoy. At the same time, my biblical short story about Moses’ wife, Little Bird, has been published by Pages of Stories webzine, so I’m pleased about that too. I must write another biblical tale at some point really, though I suppose biblical reinterpretation would be more accurate. There have been some more nice reviews and chart listings this week too. The Delaneys and Me gained a lovely and very funny 4-star review at Goodreads, and was for a while at No 80 in the Amazon Kindle Gay Fiction charts. Not to be outdone, Give and Take received a 4-star review at Goodreads, but this week’s outright winner has definitely been Martin and The Wolf, which gained a 5-star review at Goodreads, and a 4-star review at Amazon Kindle where it was also briefly at No 89 in their Gay Fiction charts, hurrah. And, finally or nearly finally in this section, you can find a good supply of my Ebooks at new Irish Ebookshop, DirectEbooks. Happy shopping! The following day, I walked into Guildford at lunchtime from work and spoke to my current bank to make sure that if/when Lloyds contacted them they would be sure to ignore them as I had no intention of becoming a Lloyds bank customer at any point as the blessed Kate had entirely put me off. They very sweetly made a note of it, but then later rang me at home that day to say that I would also need to tell Lloyds not to go ahead with the transfer. Understandably enough. So I then spent some time attempting to do this online with Lloyds, and discovered that it’s simply not possible. So I gathered my courage in both hands, such as it is, and rang the helpline (ha!) again. Thankfully, Kate must have been out or lying down in a darkened room or something. Good, say I … Anyway I spoke to an equally callow young man who said that I would still have to go in and see the Godalming branch to sort it out as he couldn’t do anything over the phone or online. I said that seemed like a pretty poor customer service to me really and as he launched into what would no doubt prove to be a long and equally pointless explanation, I decided I simply didn’t want to hear any of it and put the phone down on him too. Perhaps he’s now also in that darkened room. I’m too important to deal with you and you’ll have to go away and come back at another time. Marvellous. Customer service is alive and kicking and (not) living in Godalming. Naturally, dear reader, I expressed my opinion forcefully and with dedication in the public foyer – though I’m proud of the fact that I didn’t shout. I simply said that I had no intention of leaving and would stay here communicating my dissatisfaction with their service for as long as it took until my issue was sorted. The manager attempted to talk over me and tell me he couldn’t help and I still had to go away, but frankly by that stage I didn’t care if he was God, I expected him to sort out the problem even if he found a completely unimportant person to deal with it. Luckily, at that point, the really lovely and utterly efficient Karen Stenning whisked me away to her table, apologised profusely on the bank’s behalf (the first apology I’ve received all week, so thank you, Karen), listened with growing horror to my tale of woe, and then sorted it all out for me with style and finesse, and in a matter of minutes. Karen – you are truly marvellous and if you left and started your own bank, I would most certainly be your first and proudest customer. Thank you. It was a pleasure doing business with you – though I suppose that should be not doing business with you. Still, it was nice. Anyway, back to more spiritual matters. Bible study group last night was good (and good God, how I needed it, eh!). We were looking at St Paul’s letter to one of his underlings, Titus (you see, even St Paul wasn’t too important to write a letter when it was needed and, hell, he was a busy chap too …). It did amuse me though that the associate vicar’s husband walked in a little late and without his good lady wife, but with this glorious excuse for her absence: Sorry. Paul couldn’t come; he sends Titus … Which sums up the letter itself, really. Anyway, it’s the last group meeting before the summer and we’ve decided to look at the Book of Daniel in October, followed by Revelation after Christmas. Never say we don’t challenge ourselves here in the shires. It did worry me however that the vicar was muttering something about having an exam once we’ve finished the whole bible. I just hope it isn’t in Greek, God forbid. Do you think it’ll be multiple choice? I must also say, on an entirely different matter but my brain is like a gazelle on a rock today sorry, that I’ve been deeply disappointed by the Prime Minister’s statements in Parliament about the Moat affair. His opinions seem mean and uncalled-for to me – far better surely to acknowledge the horror of the events and the terrible complexity of it all, to ask for a reasoned response from the public as far as that is possible, and to pray for all the victims involved. That was all that was needed – but making bitter personal comments about a dead man in public, however difficult and dangerous that man was, is beyond the pale and must be totally appalling for the family. Badly done, Mr Cameron. Very badly done. You should have taken a lesson from the open-hearted response of the policeman victim. Finally (at last! ), I’ve visited the dental hygienist today so my teeth are all gleaming and white, and even now planes are landing when I smile, hurrah. And, whilst there, I had a lovely chat with the dental nurse (hello, Margaret!) who, rather worryingly for her, has my blog on her i-phone as one of her favourite sites. Well, gosh! I’m deeply touched and it really made my day, but have you ever thought you might need help, Margaret?!? I can offer you the name of a very good therapist, you know …. Great to catch up with you though! Today at Vulpes Libris, you can read my review of the always marvellous though sadly underrated Clare Morrall’s The Man Who Disappeared. Really, she’s superb. If you read nothing else this year, try a Morrall novel – they’re great. I’m also thrilled to announce that I’ve somehow reached the 50,000 word marker of The Executioner’s Cane, earlier than anticipated even. Hurrah! That neatly rounds off the first third of the book, which I’ve entitled Faith. Now on to my second section, which will be entitled Hope. No prizes as to guessing the title of the third and final section, though I do hope the final two parts will be smaller that the first one – otherwise I’ll still be writing the damn thing in my bath chair, scary thought. Will those pesky Gathandrians ever really let me go?? 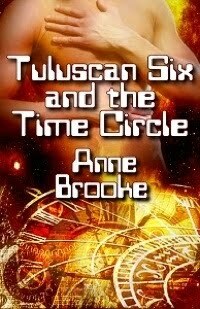 Time will tell … Or, as they would put it, the time-cycle will tell. Lordy, but I’m starting to talk like them too, by the gods and stars. Hey ho. Chart & review news this week: The Secret Thoughts of Leaves found itself staying happily in the Amazon Kindle Surrealism charts, currently at Number 41; whereas The Delaneys and Me kept in the Amazon Kindle Gay Fiction charts, drifting merrily between Number 50 and Number 80. I was also very happy indeed with a lovely and thorough review of Martin and The Wolf at the Obsidian Bookshelf by Val Kovalin who recommends the book, saying: This gracefully written story handles the novelette length just fine, delivering an absorbing opposites-attract story warmed by understated humor. Many thanks indeed, Val! Meanwhile, I’ve sent the galley proofs of The Boilerman and The Bride back to Amber Heat Press, ready for publication this Sunday, 4 July. And my biblical short story about the wife of Moses, Little Bird, has been accepted for publication by Pages of Stories ezine, well gosh! There’s also great news for one of my publishers, Untreed Reads, and all their readers, as you can now benefit from a new loyalty discount pass, called the GreenPass – so you can get great reads (including my own) at cut prices all year round and save the environment too. What could be nicer! in a black and white world. Phew, we’re at this section at last then. Not much to report in terms of life this week, you’ll possibly be heartened to hear. Though I must say that the glorious rain we had early in the week was delightful in every way and I spent long moments before going to work simply looking at it and breathing in that wonderful smell. Delicious. I hope there’ll be some more soon. But, talking of TV vicars, I must draw your attention to the funny, realistic, non-cliched and deeply heartening series, Rev, on BBC2 Mondays 10pm. In Episode One, it knocked into definite touch all the achingly bad and shallow versions of TV vicardom we’ve had to endure over the years, sigh, (with the exception of the Vicar of Dibley) of course – and great points must go to it for that pub scene at the end where the put-upon vicar quietly but firmly stood up for his principles after huge pressure not to do so. It was perfectly pitched and very true. Nice one. I hope the rest of the series lives up to that standard and doesn’t go on to shortchange us Christians out of our actual humanity, as many series do. Have had a fabulous holiday in gloriously sunny Wales – it was total bliss to get away, and ye gods and little fishes but I think the St John’s Wort happy pills might be working, hurrah! This is the most normal I’ve felt in two months, maybe more. Anyway, Wales is wonderful. My favourite day was the one we spent at Hilton Court Gardens taking tea and just sitting in their incredibly beautiful gardens at ridiculously cheap prices. If you’re anywhere near it, you absolutely must go. It’s just soooo relaxing. After that, we paddled on the amazingly beautiful and all but deserted beach in Newgale, nearby, and that was wonderful too. Honestly, that night, I was the most relaxed and happy I’ve been in years. I wish I could go to Hilton Court and Newgale every day or, at the very least, have them delivered. Bliss. 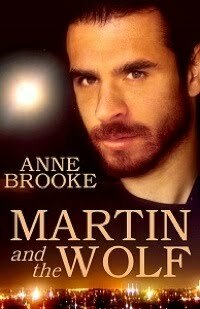 My gay fantasy short story, Martin and The Wolf, is now published at Amber Allure and you can also view a book trailer. At the same time, my gay comic fantasy, Angels and Airheads, is published at Torquere Press, which is my first publication with them. I hope it won’t be the last! I also have a new page for upcoming comic SF story, Creative Accountancy for Beginners, and this will be part of the new Orbis line from Untreed Reads Press. It will probably be published late this month and will be their first Orbis offering, so I’m especially thrilled to be part of that – thanks to Jay once more! Talking of which, the cover for it is wonderful too – as you can see! Finally, in the specific book news section, I’m very happy that Bluewood Publishing now have an author’s page for me that also has the cover art for The Gifting on it, so that’s getting exciting too. The Delaneys and Me has had two reviews this week, one at Three Dollar Bill Reviews and one at Amazon US – very many thanks to both reviewers for their comments. It’s also been interesting to note that The Delaneys and Me was briefly at Number 45 in the Amazon Kindle Gay Fiction charts, whilst The Bones of Summer managed Number 68 in the Amazon Kindle Gay Romance chart and (pause for BIG drumroll!) The Secret Thoughts of Leaves was actually Number 17 in the Amazon Kindle Surrealism charts for a while. Heck, I didn’t even know Amazon possessed a surrealism chart, but my goodness it’s nice to be in it. Whatever next, eh? 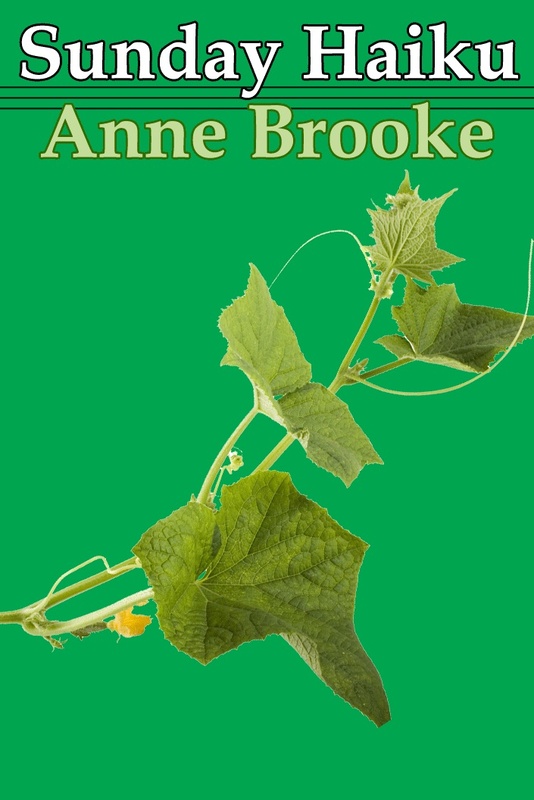 There are two interviews with me on the web this week, one at Sizzling Releases that focuses mainly on The Secret Thoughts of Leaves. And the other is about my fiction more generally and can be found at Two Ends of the Pen journal. I hope you enjoy both. unknit yourself from the earth. We’re now halfway through GLBT Week at Vulpes Libris and I hope everyone’s enjoying it. I certainly am! So far we’ve had a look at: Sarah Waters’ Fingersmith; the love affair between Sylvia Townsend Warner and Valentine Ackland; and a rollercoaster ride through gay teen fiction. It’s all go, my dears, and there’s still so much more to look forward to! it’ll all end in tears.